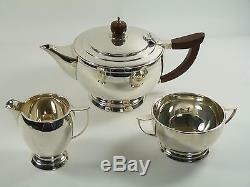 Stunning Deakin & Francis sterling silver 3 piece tea set. Originally an art deco design, this set dates from 1973. Please see above for quantity available. Price is for the set. 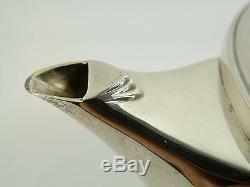 Fully hallmarked for 1973 with the. Bicentennial mark for the Birmingham assay office. 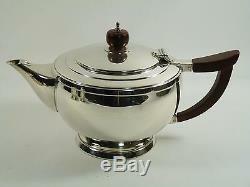 Weights are tea pot 530 grams, jug 120 grams and sugar bowl 152 grams. 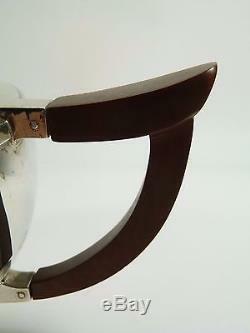 Tea pot 5 1/2" (14 cm) tall, 9 1/2" (24 cm) handle to spout. 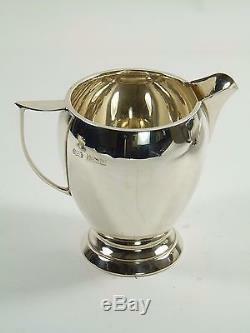 Milk jug 3 1/4 (8.7 cm) tall. Sugar bowl 2 1/4 (6 cm) tall. Item is in excellent condition - used. Some light signs of wear. We are dedicated to ensuring the highest possible quality service to our customers, always going above and beyond! See the tabs below to read more about our policies. 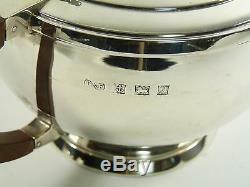 We are a one-stop shop for replacement quality named brand stemware, flatware and hollowware. We are a friendly team whom have established a reliable, quick and efficient service. Out of these hours it may take a little time to answer massages, but will always get back to you. We're often asked to send glass and cutlery to friends and relatives as a replacement for small accidents... Please let us know if you would like us to send the receipt somewhere else! Sadly we are unable to accept customer collections at this point. All items are cleaned and inspected before being dispatched; we only use the best packing materials to insure your item reaches you safely. The item "DEAKIN & FRANCIS Sterling Silver Art Deco Design 3 Piece Tea Set" is in sale since Monday, January 23, 2017. 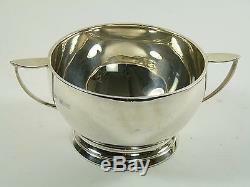 This item is in the category "Antiques\Silver\Silver Plate\Teapots & Sets". The seller is "merrittrobinson" and is located in Bexley. This item can be shipped worldwide.